Established Christian entrepreneurs talk about how their faith impacts their business and how their business impacts their faith. Watch as they share about their lives, faith, and businesses, in a video-chat style interview, like grabbing a virtual coffee with a Christian business mentor. Shelly Najjar is the founder of Faith X, which helps Christian entrepreneurs connect their faith and their business, with confidence. She’s a dietitian and wellness coach at Confident Nutrition, and strives to apply the principles we learn in church to the everyday situations we face in our businesses. 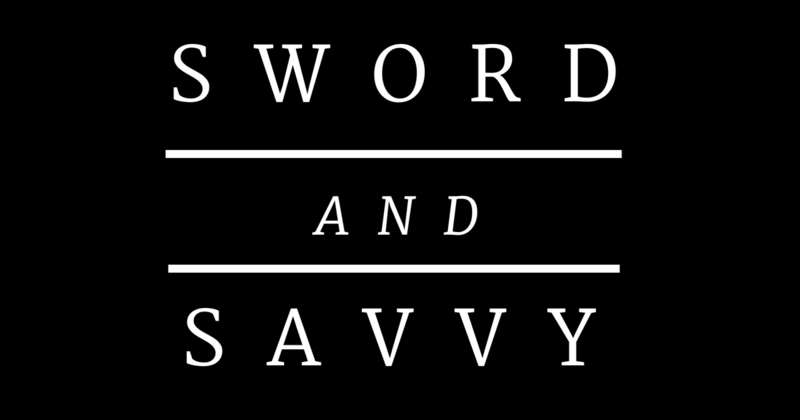 The show name, Sword and Savvy, comes from the idea that we need both God’s word and business skills to succeed as a Christian entrepreneur. Hebrews 4:12 tells us the word of God is like a double-edged sword, and 2 Timothy 3:16-17 says it’s useful for equipping you for every good work. Learn and be inspired by these established entrepreneurs whose faith is active, relevant, and life-changing. Guests are Christian entrepreneurs who’ve been making a living from their business for at least 1 year (and are open to a recorded video chat talking about their faith and business, and how the two intersect). Season 1 guests include Jon Jorgenson, Ray Edwards, Jeannette Johnson, and Roman Randall. If you’re interested in being a guest on the show, please email Shelly for more details.